In Stress Testing, the parameters typically tested are: Storage, Computing Time, Communication opacity, and Database Recovery Time. This process drives the system to the very limits of its endurance in order to determine what features in the application design can fail during implementation. The features that do fail can turn out to be defects capable of causing disastrous failure. This ensures that the hardware, software, portal, or internal applications are ready for release into global or regional markets. Polymer, Plastics and Rubber, undergo changes both Physical and chemical – MAEON laboratories can conduct tests to quantify the property changes during the ageing tests under Heat, Oxygen, fuel, oils, chemicals etc. 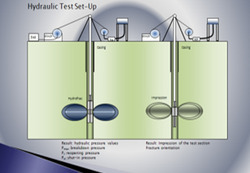 We provide ndt services like UT , RT , MPT , DPT , SR to various industries. We are having all new generation machines with high accuracy which gives precise results . Our experience manpower with valid certification course can provide the best quality ndt services all the time 24/7. 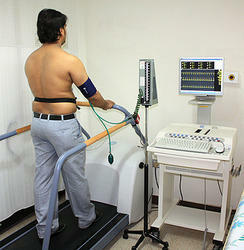 - Examines heart performance during physical activity of a patient. - In presence of a physician. In the list of services of cardio care we have next service to offer - Stress Test. Certain abnormalities of heart can be detected under pressure or stress to the heart. The computerized stress test will offer clients a quick and simple method of evaluating the condition of their heart.